Contemporary furniture design involves smooth lines, simplicity, and concentrates on both form and function. 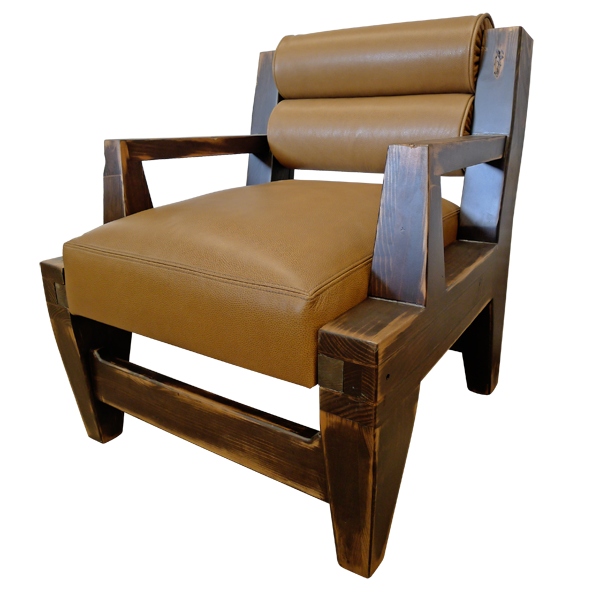 The antique stained, solid wood frame of this handcrafted chair is strongly built, but simple and without elaborate embellishments. 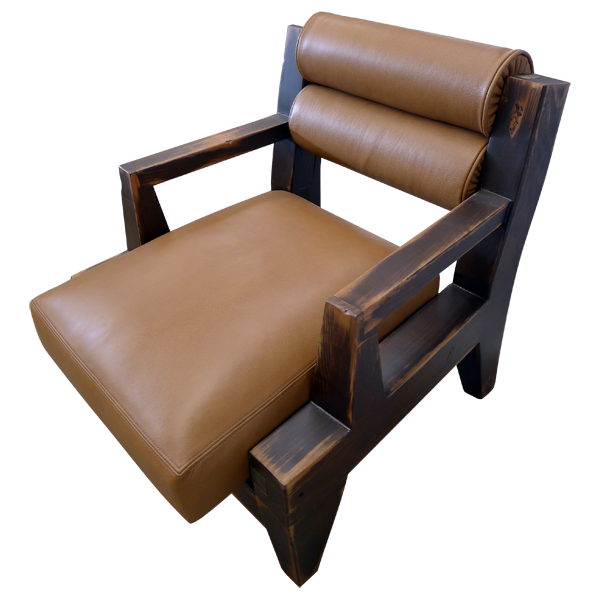 The horizontal lines of the armrest, support crossbars, and the seat back give the chair a sense of harmony and balance. 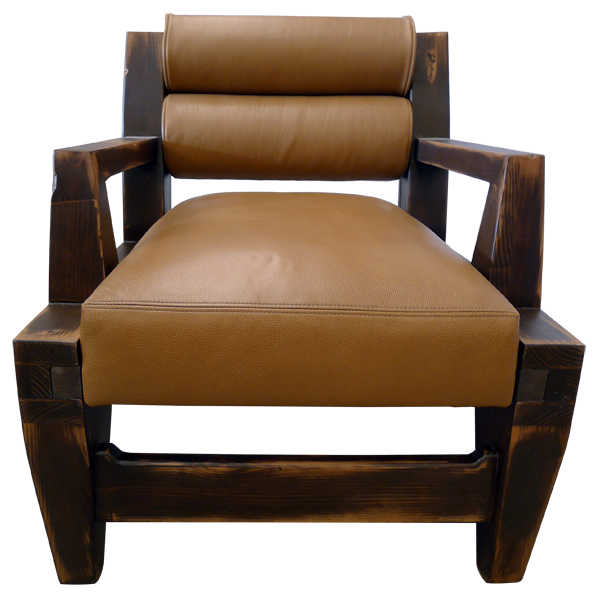 The wide seat and low seatback are upholstered in brown, full grain leather, and the leather is double stitched for extra strength and durability. The legs are joined by a crossbar in the front and in the back. 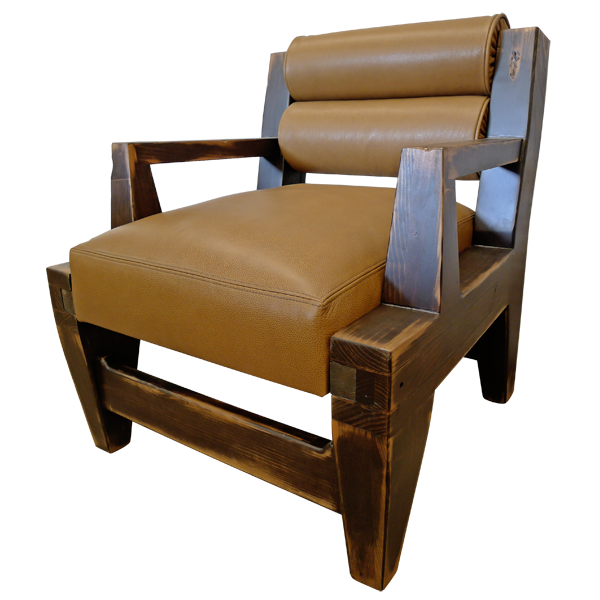 This chair is made with the best, sustainable wood available, and it is 100% customizable.